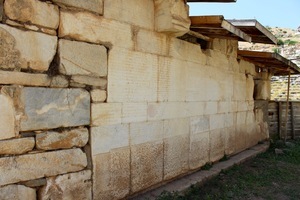 One of the most striking aspects in the cityscape of the ancient poleis was the dominating presence of multiple and varied (groups of) inscribed texts in the public civic space, which could be found on all different kinds of buildings, monuments and free-standing blocks of stone like statue bases, and this phenomenon applies specifically to the cities of ancient Asia Minor, which roughly matches modern Turkey. The (groups of) inscriptions were each selected, collected and inscribed on the different monuments by varied groups of people, e.g. the officials of the city, or single individuals, to whom the publication of these text in the public space of the city was meaningful. These inscriptions therefore are an important source for the representation of the civic communities in the cityscape as well as for the image of private individuals. A considerable number of these inscriptions were inscribed within an assemblage of texts, which were inscribed together on particular buildings or monuments during a substantial period of time and thereby caused these buildings or monuments to change into text monuments. The inscriptions, whose subjects could greatly differ, were sometimes collected out of sheer archival considerations, other collections of inscriptions however, considering their similarity in content, seem to have been brought together in order to build a dossier with some underlying purpose. 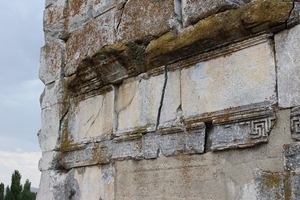 These ‘dossiers of inscriptions’ can be traced in many different cities of Hellenistic and early imperial Asia Minor, and contain noticeable differences regarding their content, quantity, time-period, production, arrangement, the founder and lastly the motivations for the publication of the ‘dossier of inscriptions’. The aim of this project is to collect in a comparative study the different ‘dossiers of inscriptions’ in Asia Minor, to examine the developments and changes in the practice of their construction during the Hellenistic and the early imperial period. The focus will be on the motives that created these dossiers, and the presentation of the inscriptions on the monument itself as well their testimony to the self-understanding of the civic community and the single individual. In the end, the project hopes to analyse the epigraphic habits, or rather, cultures concerning the ‘dossiers of inscriptions’ in Hellenistic and early imperial Asia Minor in general.